Alicia Brown was one of the winners of the Dawn Scott Memorial Award in the Jamaica Biennial 2017. Alicia Brown was born in 1981, in St Ann, Jamaica. She attended the Edna Manley College of the Visual and Performing Arts, Kingston, Jamaica, and received a diploma in Art Education in 2003 and a BFA in Painting in 2009. 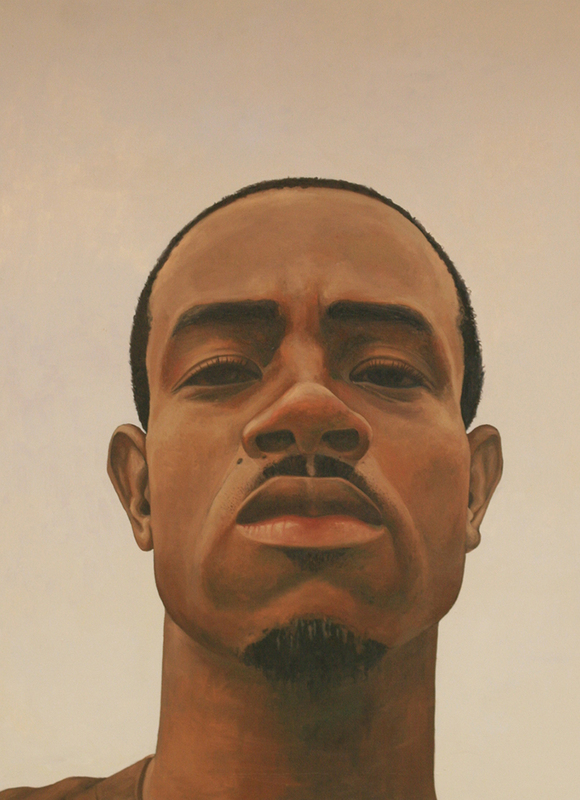 Brown also attended the New York Academy of Art in New York and obtained an MFA in Painting in 2014. Her work has been shown at the National Gallery of Jamaica in in the National Biennial 2012 and Young Talent 2015. In 2016, she held a solo show at Studio 174 in Kingston, Jamaica, entitled Copy and Placed. In 2003 and 2004, she was awarded the bronze medal for her entries in the Jamaica Cultural Development Commission (JCDC) National Visual Arts Competition and Exhibition. Alicia Brown uses traditional painting techniques and iconographic references to examine contemporary issues of race, beauty and social status. She is based in Kingston, Jamaica. The Jamaica Biennial is one of the big highlights of Jamaica’s cultural calendar, and also a very important one, not only for the local visual arts community but also for the art world of the broader Caribbean region. In recent years, this ambitious, high-profile exhibition has become more international in character, attracting participating artists from the region and beyond. It is fast earning a significant place on the international art world’s map of must-see events. The Jamaica Biennial 2017 opened last weekend, to record crowds, at its three locations, starting with National Gallery West on February 24 and Devon House on February 25 and culminating with the main opening event at the National Gallery of Jamaica on the Kingston Waterfront on February 26. The Biennial presently attracts two awards, the Aaron Matalon Award and the Dawn Scott Memorial Award and both were announced and presented at the National Gallery on February 26. The Aaron Matalon Award, which was inaugurated in 2002, is the National Gallery’s award to the artist who made the most outstanding contribution to the Biennial. The award is named in honour of the National Gallery’s past chairman and benefactor, the Hon. Aaron Matalon, O.J. and had, prior to 2017, been granted to Omari Ra, Renee Cox, Norma Rodney Harrack, Phillip Thomas, Laura Facey, Jasmine Thomas-Girvan and Ebony G. Patterson. The award is selected by a committee that consists of members of the National Gallery’s Exhibition and Acquisition Committee. The award consists of a uniquely crafted medal, designed and produced by master jeweller Carol Campbell, and a $ 100,000 cash award. The medal design is customarily based on an iconic work from the National Gallery’s collection and this year’s design was based on the famous Taino Pelican zemi in the historical galleries. The 2017 Aaron Matalon Award was granted to Jasmine Thomas-Girvan, who had also received the award in 2012 and thus receives this award for the second time – a first in the award’s history. She received the award for her two stunning installations at Devon House: Parallel Realities, Dwelling In The Heartland of My People, in the Devon House dining room, and The Real Princess, which can be seen in the sewing room. Both works comment, with exquisite detail and visual poetry, on the epic histories of the Caribbean and its people, and resonate perfectly with the historical and social significance of the Devon House mansion. Devon House was built in 1881 by George Stiebel, Jamaica’s first black millionaire, as a suburban great house, and today operates as a very popular heritage and recreational site in the city of Kingston. The Dawn Scott Memorial Award was created and presented by the New York-based art critic Edward M. Gómez and honours the legacy and enduring influence of Alison Dawn Scott (1951-2010), one of Jamaica’s most original artists of the recent past, who was known for her innovative work in drawing and architectural design, as well as in the use of complex fabric-dyeing techniques to create vivid portraits and landscapes representing Jamaican life. The award is given to artists with works on view in the Jamaica Biennial whose art and ideas reflect the artistic values and principles of the late Dawn Scott. The Dawn Scott Memorial Award comes with a cash prize in the amount of U.S.$700, funded by Mr Gomez and Dawn Scott’s daughter, Tsehai “Spoogie” Scott, a Kingston-based, film-production specialist. The inaugural Dawn Scott Memorial Award in 2014 was presented to Camille Chedda and Kimani Beckford. For the 2017 award, Gómez split the award among three deserving artist winners: the Jamaican painters Greg Bailey, for his painting Colonial Legacies, and Alicia Brown, for her painting Exchange; as well as the American mixed-media artist Andrea Chung, for her mixed media installation Pure. Chung, who is of Jamaican and Trinidadian ancestry and lives in San Diego, California, USA, is one of the international artists who was invited to contribute a special project. The work of Bailey and Brown can be seen at the National Gallery of Jamaica, while Chung’s work can be seen at Devon House, in the adult bedroom and bathroom. The National Gallery of Jamaica congratulates and salutes the winners of the 2017 Aaron Matalon and Dawn Scott Memorial awards, and extends its commendations to all artists who are participating in the Jamaica Biennial 2017, which is a very competitive exhibition with many strong and unique submissions. The Biennial continues at all three locations until May 28. Alicia Brown was born in St Ann, Jamaica in 1981. She attended the Edna Manley College of the Visual and Performing Arts, Kingston, Jamaica, and received a diploma in Art Education in 2003 and a BFA in Painting in 2009. Alicia also attended the New York Academy of Art in New York and obtained an MFA in Painting in 2014. The use of mimicry as a tool for creative invention, imitation and expression plays a vital role in formulating cultural identity. This is evident in the formation of subcultures, resulting from class distortion associated with colonialism. The desire for social acceptance and the search for missing pieces of self is the gateway to copying dominant cultures. This desire becomes a fantasy that is embraced while reality is rejected. My work invests itself in a social critique, addressing issues of social construct, colonialism, pop culture, Western trends and their impact on Caribbean identity. I reference Dutch 16th and 17th century portraiture, where aspects of this history are appropriated and re-contextualized in their representation. I use portraiture as a tool to imitate this model, incorporating both traditional and contemporary painting languages as dialogue on identity. 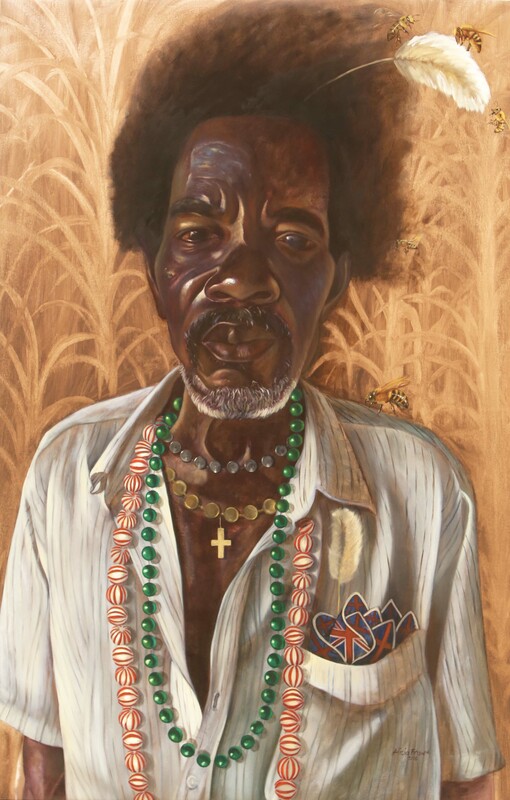 The National Gallery of Jamaica is pleased to present Young Talent 2015, an exhibition which features ten artists living in and from Jamaica and under forty years old, namely: Greg Bailey, Alicia Brown, Katrina Coombs, Di-Andre Caprice Davis, Monique Gilpin, Domanie Hong, Howard Myrie, Richard Nattoo, Avagay Osborne, and Cosmo Whyte. The exhibition will open on Sunday, August 30, 2015 and will be on view at the National Gallery until November 14, 2015. The first Young Talent exhibition was held in 1985, as part of JAMFEST 85, when Jamaica hosted the International Youth Conference. 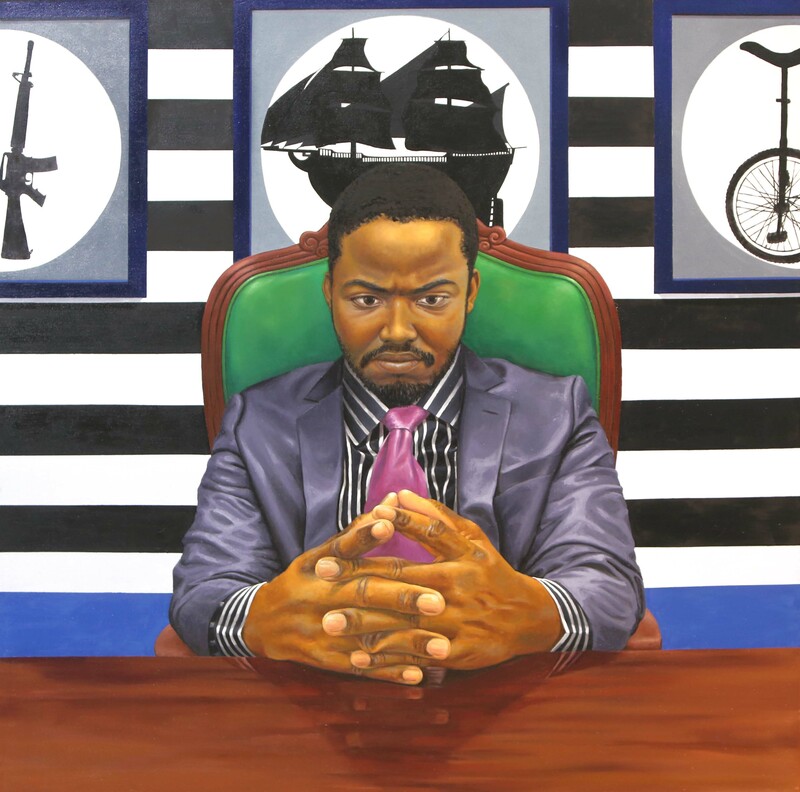 Young Talent 85 featured eleven young artists, including Basil Watson, Omari Ra, Khalfani Ra, and Petrine Archer-Straw. As part of the National Gallery’s strategies to uncover and support new developments of Jamaican art, Young Talent exhibitions have been organized intermittently since then, in 1989, 1995, 2002, and most recently in 2010, and many well-known contemporary Jamaican artists had their first major exhibition as part of the Young Talent series. Young Talent V in 2010 was particularly ground-breaking and launched a new generation of artists who have since revolutionized the Jamaican art landscape, such as Ebony G. Patterson, Phillip Thomas, Leasho Johnson and Oneika Russell. The National Gallery has also staged the New Roots exhibition in 2013, which was treated as a spin-off from the Young Talent series and featured artists such as Matthew McCarthy, Olivia McGilchrist, Camille Chedda, and Deborah Anzinger. To support what is presently an exceptionally energetic and innovative contemporary art scene in Jamaica, the National Gallery now intends to present Young Talent exhibitions every two years, in the years alternating with the Jamaica Biennial. For the present exhibition, Young Talent 2015, the National Gallery opened the selection process with a call for submissions and entries were received from thirty-five artists, from which ten were selected. While most of the selected artists already have an exhibition record, Howard Myrie, Avagay Osborne, and Domanie Hong have just graduated from the Edna Manley College, which continues to be the main engine for development and innovation in Jamaican art. Young Talent 2015 includes a healthy range of artistic media and practices, including new and more traditional media, including GIF collages, fibre-based work and representational painting, which coexist productively as part of Jamaica’s emerging contemporary art language. 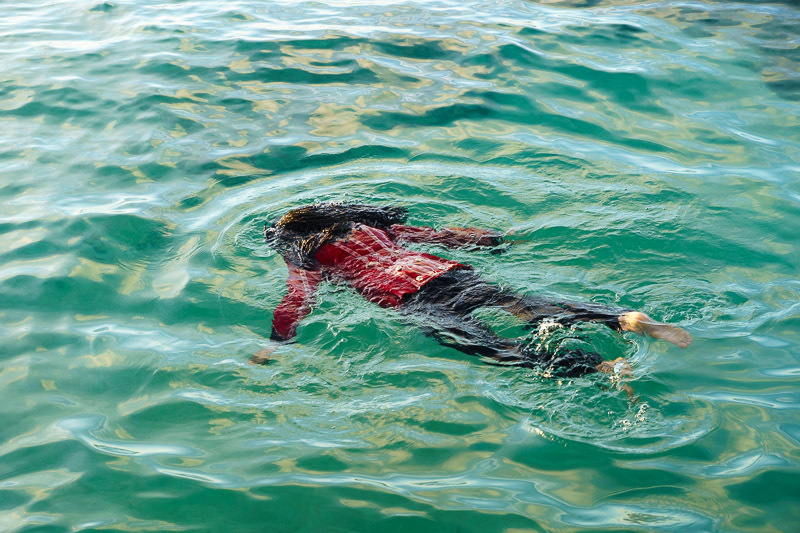 While some of it is also deeply personal, most of the work selected for Young Talent 2015 is explicitly or implicitly political—tackling challenging subjects such as gender violence, social dysfunction, power and marginalization, the politics of the body, and displacement and forced migration—and reflects the complex and unsettling cultural and political events and debates that shape the “post-postcolonial” world. One striking feature of the exhibition is the artists’ engagement with the materiality of their work, which is mined judiciously for its visual poetry and political implications. The result is a compelling and though-provoking exhibition, which should produce healthy debate about current artistic and cultural trends and about the broader social and political questions raised. The August 30 opening function of Young Talent 2015 is presented as part of the National Gallery’s Last Sundays programme, with doors open from 11 am to 4 pm and the opening function at 1:30 pm. There will be no guest speaker and instead we will be screening a short video documentary on the participating artists. This will be followed by a musical performance by Jah9. As is customary, the event is free and open to the public but donations are welcomed, as these play an important role in funding projects such as Last Sundays and exhibitions such as Young Talent 2015. The National Gallery of Jamaica’s Young Talent exhibition series was introduced in 1985 and has seen five editions thus far, the last of which – Young Talent V – was held in 2010. The purpose of this exhibition series is to provide exposure to the work of artists under forty years old, in and from Jamaica, and the series supports an important aspect of the NGJ’s mandate, which is to actively encourage new developments in Jamaican art and to support the work of young and emerging artists. The series also encourages public critical dialogue about new directions in Jamaican art and culture and provides a platform for innovative curatorial practice. Several well-known Jamaican artists are alumni of the series, including Omari Ra, Basil Watson, Anna Henriques, Khalfani Ra, Paul Stoppi, Ebony G. Patterson, Phillip Thomas, Leasho Johnson, Oneika Russell, Marvin Bartley, Michael Elliott, and Marlon James. A related exhibition – New Roots – was held in 2013 and featured artists such as Matthew McCarthy, Camille Chedda, Storm Saulter, Varun Baker, and Deborah Anzinger. Another exhibition in the Young Talent series is scheduled open on August 30, 2015 and will feature ten artists under forty, namely Greg Bailey, Alicia Brown, Katrina Coombs, Di-Andre Caprice Davis, Domanie Denniston, Monique Gilpin, Howard Myrie, Richard Nattoo, Avagaye Osborne, and Cosmo Whyte. The selection process for Young Talent 2015 was based on a call for submissions and a total of thirty-five entries were received. While the original intent was to feature only eight artists, the curatorial team decided to increase this number to ten, in response to the quality and range of entries. The selections were made by Executive Director Veerle Poupeye, Senior Curator O’Neil Lawrence and Assistant Curators Monique Barnett-Davidson and Tesha Chai, who will also serve as the curatorial team for this exhibition. Young Talent 2015 covers a healthy range of contemporary art practices, from the realist portrait paintings of Greg Bailey and Alicia Brown to the textile- and fibre-based works of Katrina Coombs and Avagaye Osborne. The focus on textile- and fibre-based media is a relatively new development in local contemporary art and is part of a broader trend of experimentation with media, which is also evident in the glass-based work of Howard Myrie, Richard Nattoo and Domanie Denniston. 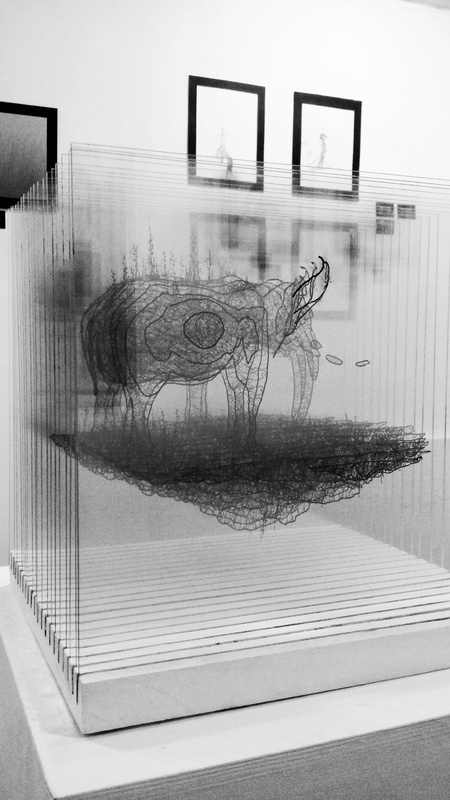 As in Young Talent V and New Roots, there is a strong representation of photography-based media, as can be seen in the work of Domanie Denniston, Di-andre Caprice Davis, Monique Gilpin and Cosmo Whyte, although the latter now also produces three-dimensional constructions. While there is no deliberate common theme in the exhibition, the works selected are perhaps best understood as a mirror of the contemporary world, in Jamaica and globally and address issues such as the politics of gender, sexuality and race and, in several instances, use subtle formal and verbal strategies to make powerful statements that all lives matter. In all, Young Talent 2015 promises to be a strong, engaging and at times provocative exhibition and a worthy successor to Young Talent V and New Roots.